chatara in a nutshell If you’re looking for Chatara, or Shea for short, check your local bakery or a fashion boutique because this stylish girl comes with a pastry obsession and a love of tassel or fringe on pretty much anything. When the self-proclaimed product junkie isn’t immersed in her fashion love affair, she is likely buried in a good book or at the gym breaking a sweat. 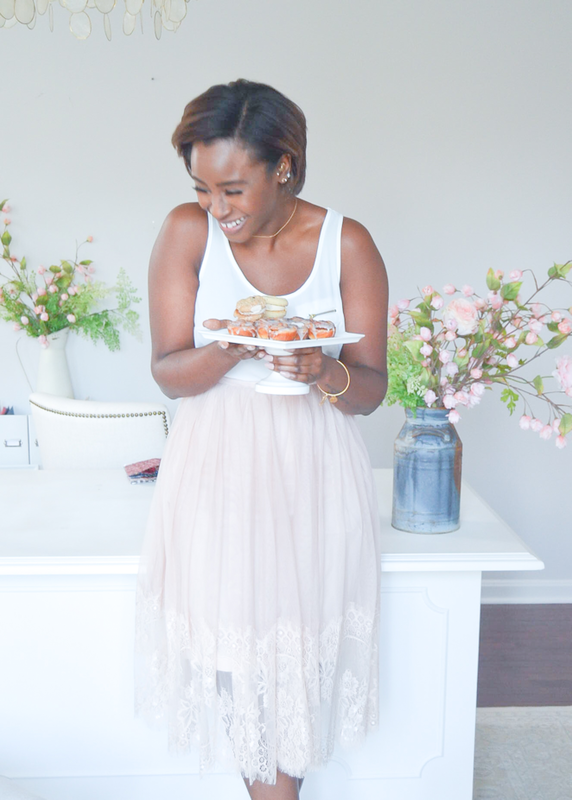 Her blog, “Food I Eat in Bed,” is too scrumptious not to check out and shows her adorable personality and sweet side. Shea is an extremely passionate person and her love of the way a piece of decor, accessory, or fabric can compliment each other, is what makes her irreplaceable at EED and asset to any event! her start With her Fashion Design degree from the Fashion Institute of Design and Merchandising in Los Angeles, Chatara is not only stylish, but also creative. When she stumbled across Elle’s Instagram during a period of career transition and realized she had found an imaginative kindred spirit, she submitted her resume and was over the moon when she nabbed an EED internship. With extensive experience in customer service as well as visual merchandising, which helped her to develop a knack for symmetry and juxtaposition for decorum and the teeniest details at each wedding venue, Chatara values a genuine interaction with every wedding party. So, when the internship was over, Chatara had asked if she could still work with EED, but Elle had no plans of letting her leave…ever! now Chatara’s attention to detail, artistic talent, and eye for styling & design has led her to her irreplaceable, creative-guru status with EED. She has also been by Elle’s side during the execution of Le Petit Pineapple and has been designing & planning LPP’s events since the start in 2016. Her eye for details and desire to have every design aesthetically perfect and unique makes her an incredible event designer for events big and small. When she isn’t sketching or designing petit little details, she is coordinating and executing EED’s editorial shoots, is the eye behind the perfect details on wedding days, and is usually at the studio more than the wedding planners doing behind the scenes things with EED & LPP. You can also see her blog posts, “Motivational Mondays” on the EED blog! During setup, Chatara is always buzzing around like a busy bee. 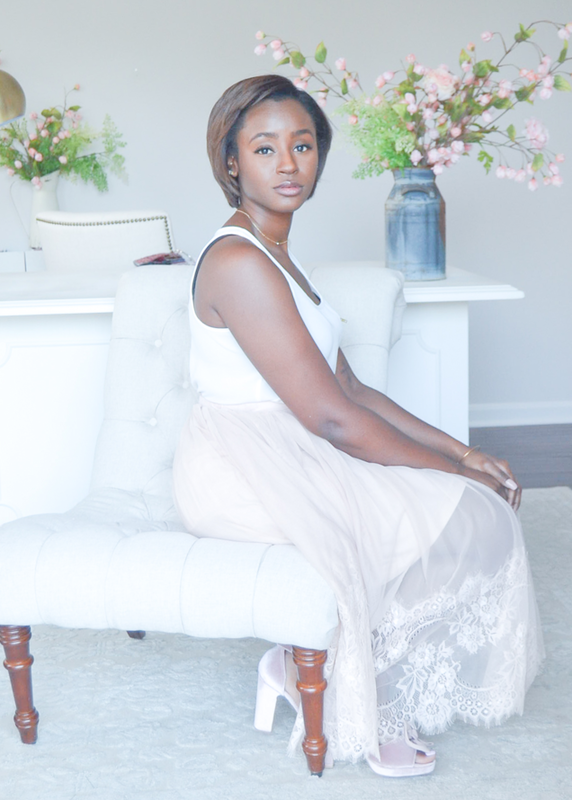 Whether she is adding finishing touches or in full-on project mode, she is ready to assist Elle, Jillian and Chelsea to make all of the bride and groom’s fairytale ending wishes come true. If you are planning a non-wedding soiree, head to Le Petite Pineapple to start planning with her since petit little events are her specialty!